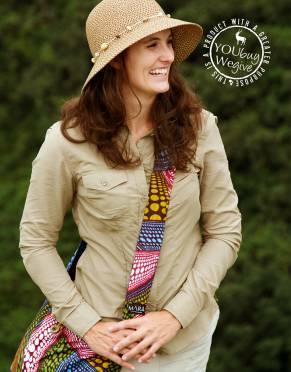 Channel your passion for Africa with a slouch bag that is 100% handmade in Africa. 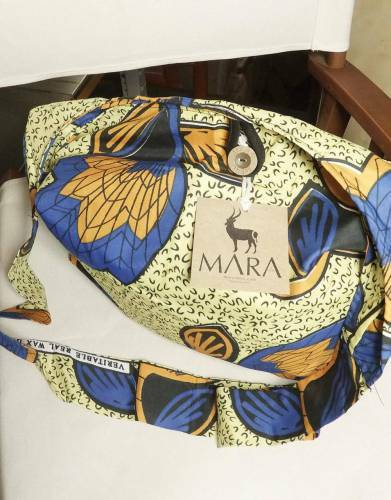 This limited-edition bag makes a bold statement and is made from one-of-a-kind, eye-catching fabric from Kenya. 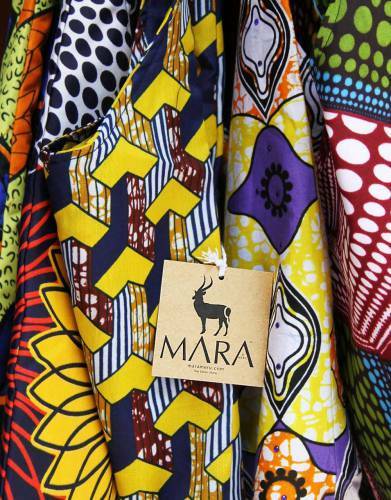 The vibrant palette of Africa’s fabrics has a natural appeal for those who express themselves through colour. 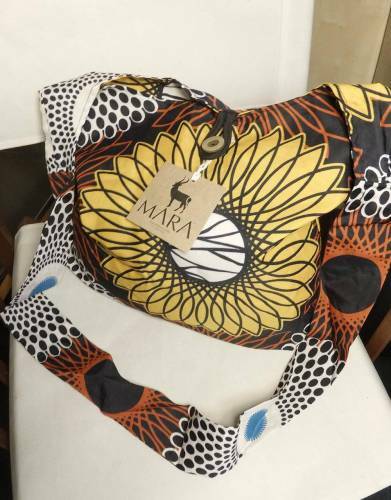 Every Mara&Meru™ Slouch Bag has travelled from Kenya to South Africa, changing hands from one community to the next in the process of hand-printing the material to assembly – it is a bag made in Africa for Africa-lovers. 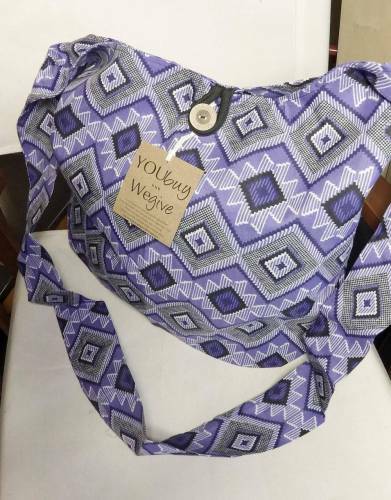 The bag is sewn by community members in rural KwaZulu-Natal in South Africa. The sewers have established a self-help group aimed at enriching the lives of its members through skills development and entrepreneurship. 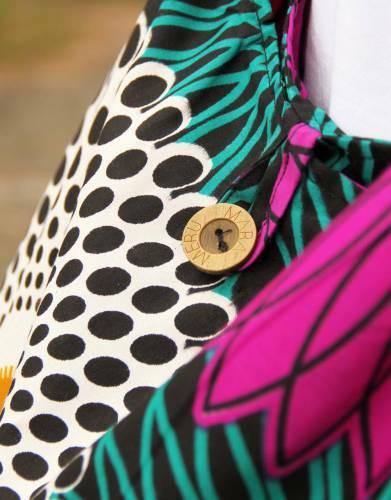 The individually hand-printed fabric is made in small batches in Kenya. 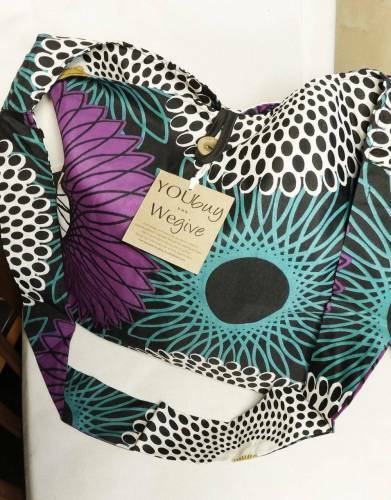 This means that a handful of slouch bags are made in a particular fabric style. 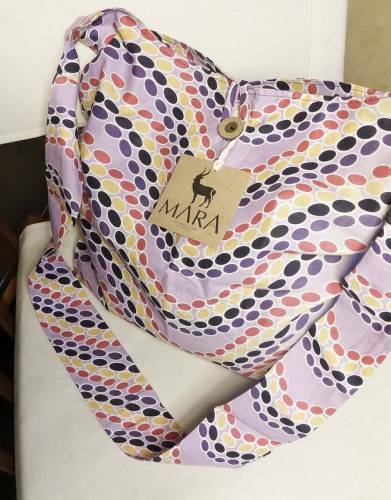 The ever-changing design and exclusivity of the print are some of the elements that make the slouch bag a unique, interesting, and vivid fashion accessory. 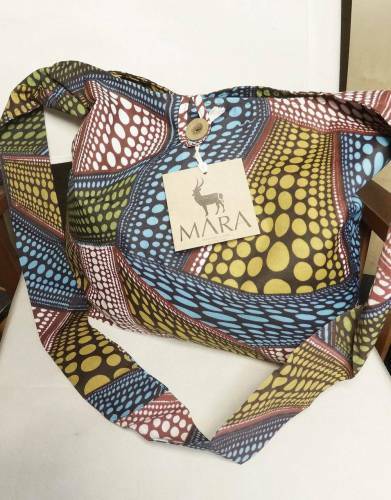 Its simple, casual design make the Mara&Meru™ Slouch Bag a comfortable bag to wear over your shoulder or sling across your front for easy carrying of everyday items for your studies, work, or urban activities. 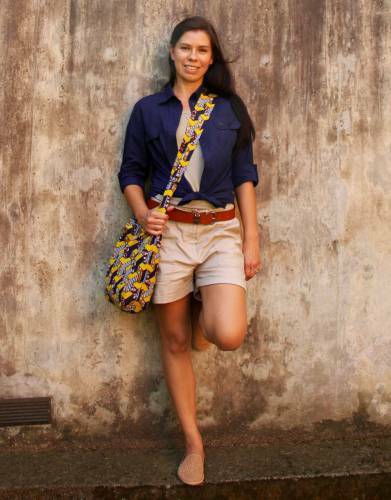 Although the bright colours make it unsuitable for safaris, its soft design makes it a great bag for travel. 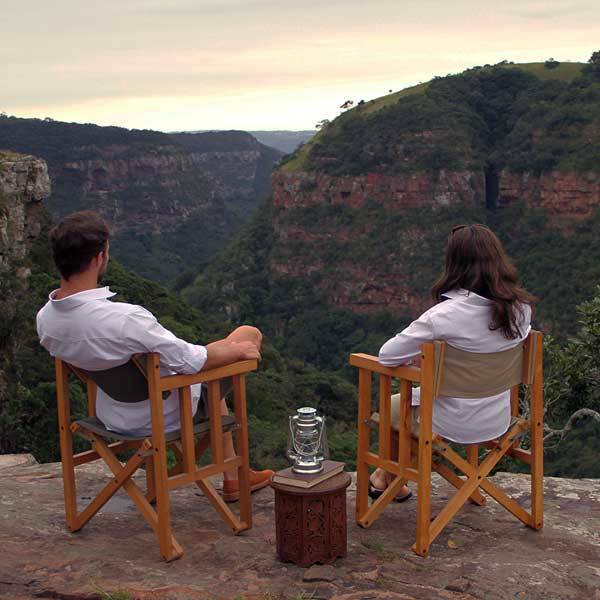 Simply fold it up and tuck it in your suitcase for wear around the lodge between game drives or in anticipation of your next beach stop on your holiday. 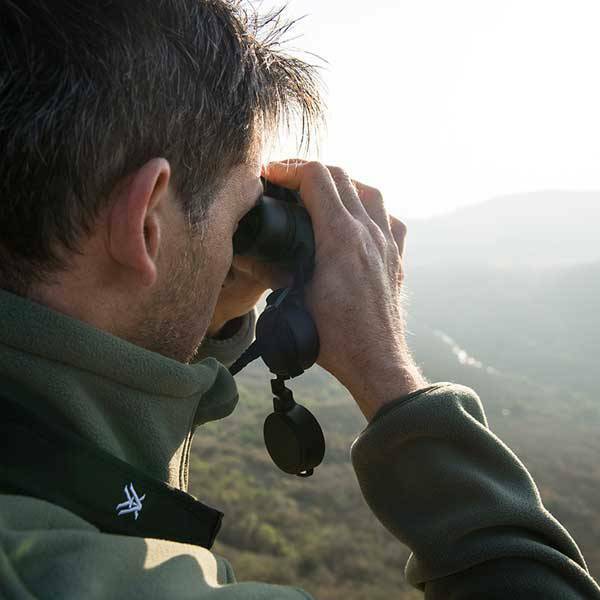 The large, uninterrupted, lined interior of the bag is spacious and smaller items can be kept separate in the interior pocket. 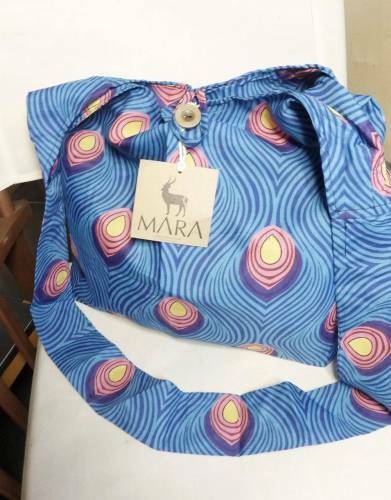 The bag can be moderately secured by way of the stylish single button and loop on the outside of the bag which also allows for easy access to the bag’s contents when you’re on the move. 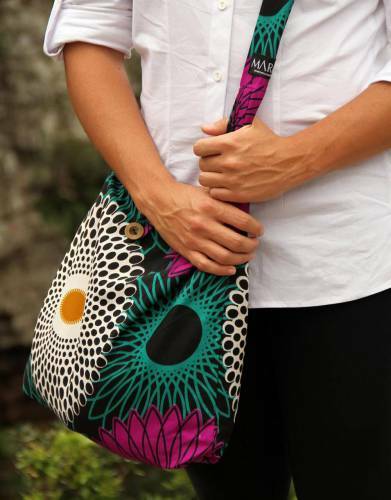 ⊙ MATERIAL: These bags are beautifully crafted from fabric that is individually hand-printed in Kenya. 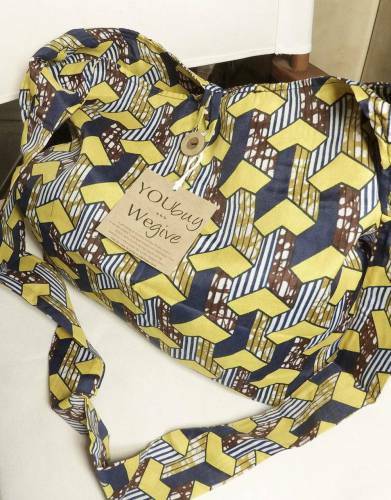 The result is that each bag is made from a limited edition pattern. 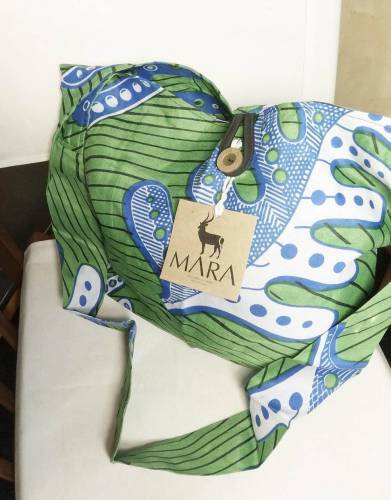 ⊙ STRAP: The simple single strap is long enough for you to comfortably wear the Mara&Meru™ Slouch Bag as a satchel or a sling bag. 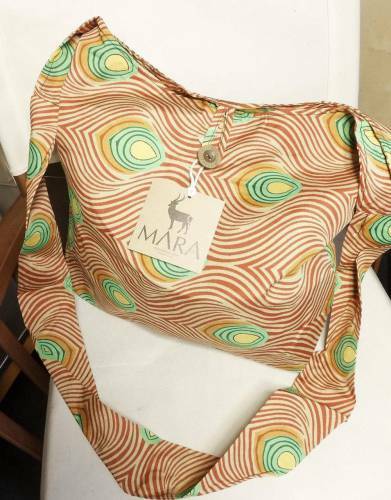 ⊙ DETAIL: The Mara&Meru™ Slouch Bag is a very simple design for comfortable, casual wear. 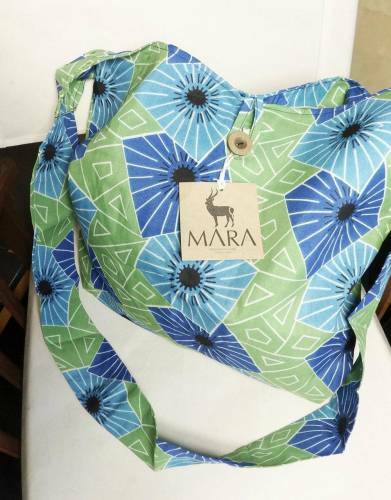 The spacious interior of the bag can be somewhat closed off by means of the stylish single loop and button on the outside of the bag. ⊙ COMPARTMENTS AND POCKETS: The main compartment of the bag has adequate space for use as a book bag, work bag, everyday fashion accessory, and beach and casual travel bag. 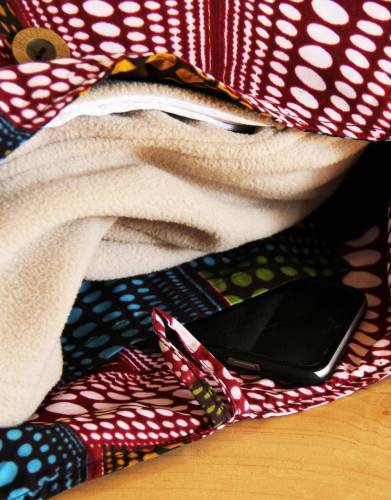 The space is uninterrupted, but the bag has a single interior pocket for keeping smaller items separate. 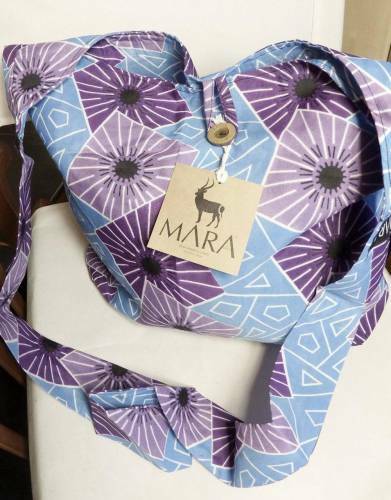 ⊙ MATERIAL: These bags are made from hand-printed African fabric.